They’ve been around a long time and are very popular, but there are issues with the security of the Euro locks. The main vulnerabilities of the Euro Cylinder Lock is their susceptibility to Lock Picking and Lock Snapping. So what’s being done around improving the safety of the Euro Cylinder Lock. Being vulnerable to lock picking attacks is a weakness of the basic Euro Cylinder Lock. These type of attacks include lock bumping, which involves opening the lock by using a crafted bump key cut to specific heights. Using a snap gun is another way of picking locks. A snap gun is essentially a tool that can be used to open a Euro Cylinder Lock without using a key. In order to combat this, there are higher security Euro Cylinder Locks that have been developed. These use specialised security and spool pins. These pins are designed to catch in the lock cylinder barrel if a bump key or snap gun are used. But the majority of Euro Cylinder Locks don’t have specialised security pins that have been fitted in the past. Lock snapping is a method of forced entry that affects the Euro Cylinder Lock. Lock snapping involves applying a strong torque force to the end of the lock cylinder, usually with a pair of molegrips, thereby breaking the lock in half and allowing access to the mechanism. It can take less than 2 minutes to snap the lock and gain entry. 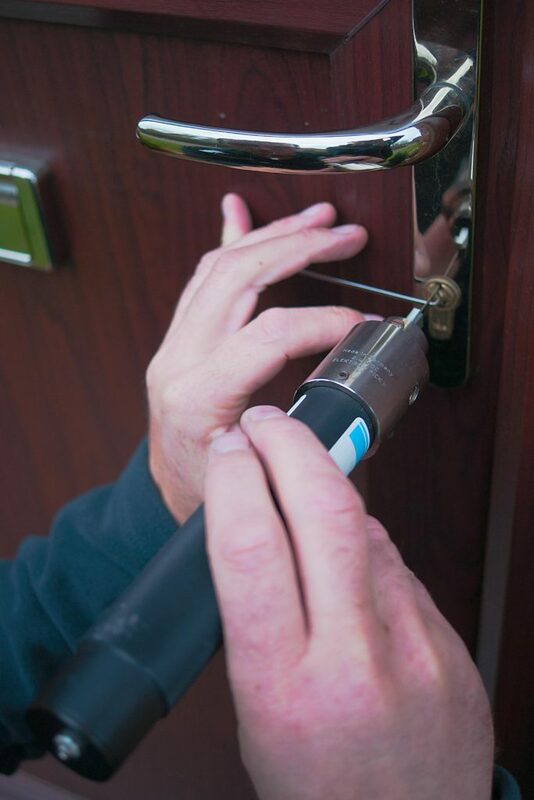 Rough estimates by police in the UK state around 22 million doors throughout the country could be at risk from lock snapping. When the retaining bolt passes through a thinner part of the lock, lock snapping is possible. Measures however have been put in place to combat the vulnerabilities of the Euro Cylinder Lock. New safety measures have been put in force and any British Standard cylinders that meet the TS007 3 standard can prevent this method of attack. They have been shown to reduce burglaries in implemented areas by up to 60%. If you are unsure that your locks are of a sufficient standard, look for 3 stars on the front of the lock. Only where they are visible shows that you are certain to have a secure lock. To find out more on the big improvements made in security with the cylinder lock visit our website here and click on the Ultion advert towards the bottom of the page. These high security cylinders guarantee that you will not be vulnerable. To find out more about improving the safety of the Euro Cylinder Lock ring Stephen direct on 01709 630027 if you are in the Rotherham area.